WHERE: To meet at Main & Station, Parrsboro, Nova Scotia, B0M 1S0. The course itself will take place at an outdoor site near Main & Station. WHAT: The French term ”plein air” means “open air” and is used to describe the act of painting outdoors while focusing on the visual conditions seen at the time. In this plein air watercolour course, participants will paint into wet paper, timing the drying of the paper as they lay in new washes of colour. The workshop will offer participants an approach to working very quickly and directly in watercolour onto wet paper. 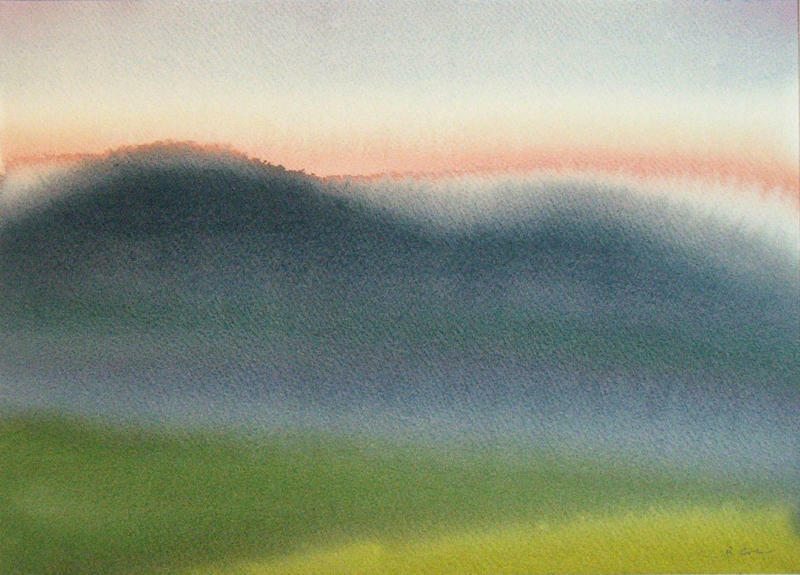 The focus is on observation of light, shape, and colour in the landscape. simplifying or obscuring detail in favour of larger forms and the broader swell of colour, aiming for a “colour chord” or harmony that speaks of time, light, and distance all at once. As a printmaker, he has shown in over forty individual exhibitions, including a retrospective at the Fresno Art Museum, and has participated in over 150 group shows. His books and etchings are held by major private and public collections throughout the country, including Yale, Harvard, Brown, and Stanford Universities, Middlebury, Smith, Wellesley, Swarthmore, and Dartmouth Colleges, the University of Vermont, The New York Public Library, The Library of Congress, and the Philadelphia and Portland (Oregon) Museums of Art, as well as the Victoria & Albert Museum in London and the United States Ambassador’s residence in Egypt. He was the first-place winner of major international print competitions in San Diego, Philadelphia, and Washington, DC, and was awarded the Best Book in Show at the Pyramid Atlantic Book Fair. Brian is also the illustrator of two popular natural science books, Reading the Forested Landscape and The Granite Landscape, and is a frequent contributor of artwork to literary reviews and other publications, including the Paris Review. A book of his work, Brian D. Cohen: Etchings & Books, was published in 2001. 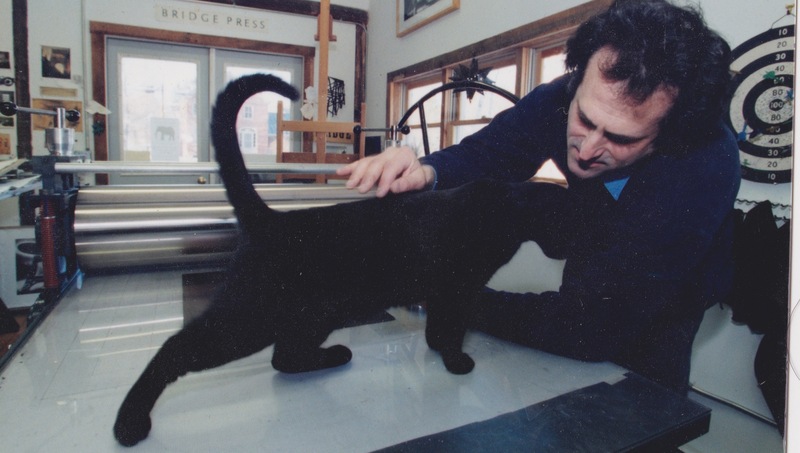 His writing on prints, books, and arts education have appeared in the Huffington Post, Art in Print, Parenthesis, Vermont Views, and other print and online journals and magazines. REQUIREMENTS This workshop is open to anyone interested in improving their watercolour painting and observational skills. Participants should have some familiarity and experience with painting outdoors. Participants should bring their own paper, brushes, paint, and palette. For this class a watercolour block is ideal to paint on. Since the paintings are done very quickly, three or four blocks would be ideal, so participants can start on a new painting while one dries. To register, please fill in the form below and send your payment to reserve your place, or send an email to fun@hmsnonesuch.com, or call 514-979-3978. An email will be sent to confirm your registration and receipt of your payment. If you do not receive confirmation within 5 days, please contact us. Please be sure to fill in the registration form above so that we can reserve your place immediately.